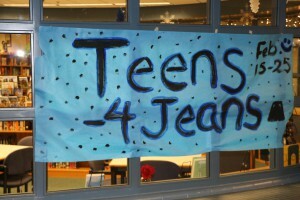 Teens For Jeans Campaign @PMHS A Success! 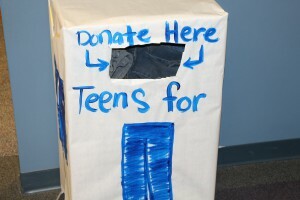 Today was the last day to donate to the “Teens for Jeans” campaign at Perry Meridian High School. The Key Club sponsored the jeans drive. One third of homeless people are teenagers who when asked what they want most they say “jeans” so all of the donations will go to local shelters to be given to homeless teenagers. The goal for this year was 200 pairs of jeans and the Key Club came up just shy of that goal with 172 pairs of jeans donated. Thanks to everyone who helped out.